It was the last significant benefit of iOS. The ONE thing iPads and iPhones could do that our poor little droids could not. 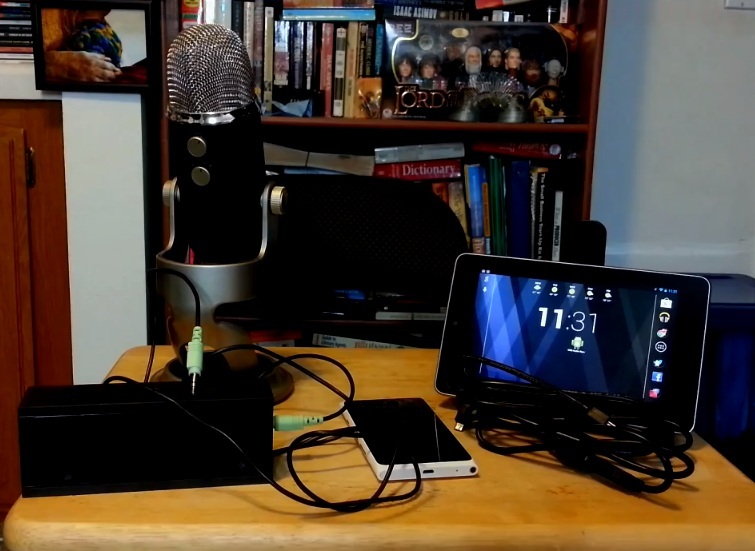 The ability to connect and record using a USB microphone or interface. That black eye is starting to heal, not thanks to Google, but through 3rd party development. I've been given the privilege of trying out eXtream Software Development's USB Audio plugin for their Android multi-tracking suite Audio Evolution Mobile. At long last, it seems this small team of developers has cracked the problem we Android enthusiasts have been facing when it comes to recording on our Droids. It's still extremely raw software, but it is functional, and will eventually be built AEM for all of us looking to record and edit while on the go, with support for USB microphones and interfaces. Audio folks with Android gear, our tablets and phones are about to become a lot more useful.